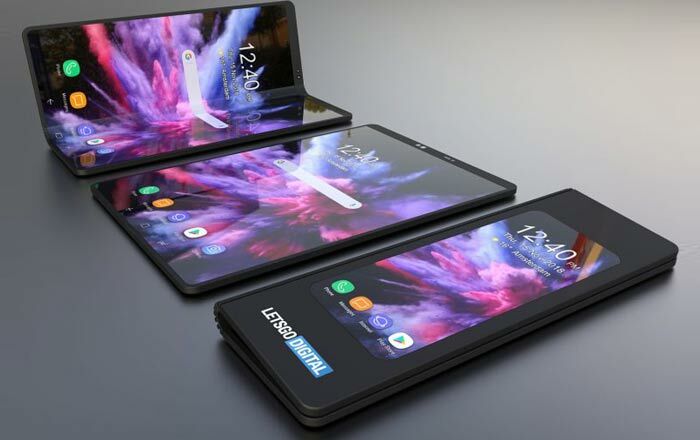 A report from Gizmodo UK has some bad news for those who were hoping for a price tag under US$2,000 for Samsung’s upcoming foldable smartphone. According to a verified source, the device, which may end up being known as the Galaxy Flex, will cost from £1,500 to £2,000 in the UK market. At current exchange rates, that’s ~US$1,922 to US$2,561. Gizmodo UK has published an article with some startling news about the price tag for the upcoming Samsung Galaxy Flex foldable smartphone. A source, who has been verified as a Samsung employee, told the media outlet that the cost of the device will range from £1,500 to £2,000 in the UK, depending on the version. Notebookcheck reported a price of US$1,770 based on a forecast by a Korean investment researcher. But these new prices for the UK market, where the phone is rumored to be an exclusive for the British mobile phone network EE (and the Samsung store, of course), suggest a US price tag is going to be over the US$2,000 mark. This is a considerable price point for a smartphone that hasn’t even got a confirmed name yet. The Samsung Galaxy F, Galaxy X, Samsung Flex, Galaxy Flex, Foldy McFoldface, or whatever name you choose to give it, has certainly excited smartphone users around the globe and the South Korean company is clearly optimistic about sales predictions. 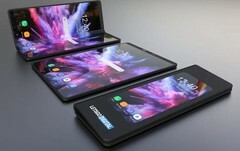 The tech giant already stated it was going to produce one million units of the device, and as Gizmodo points out, if Samsung sold all of those at £1,500-£2,000 each that would equate to £1.5-2 billion in revenue. Eye-wateringly high price points have started to appear in the premium smartphone world lately, with expensive examples like the iPhone XS Max and the Galaxy Note 9 leading the way. But a US$2,500 Samsung Galaxy Flex would make its costly rivals seem reasonably priced in comparison. However, there is a good chance the device will sell well as long as Samsung delivers on design and hardware and manages to avoid any damaging mishaps on the way (à la Note 7 and maybe even the Note 9).